Micromax A44 Superfone Punk Dual-SIM Dual GSM phone features 3.14-inch QVGA full touch Screen display with 240×320pixel resolutions and is powered by 800 MHz processor with 256MB RAM. It runs on Android 2.3 Gingerbread OS. Micromax A44 Superfone Punk sports 2MP rear camera. It comes with 140MB of storage which is expandable up to 32GB with a microSD card. It comes with Color options of black and white. 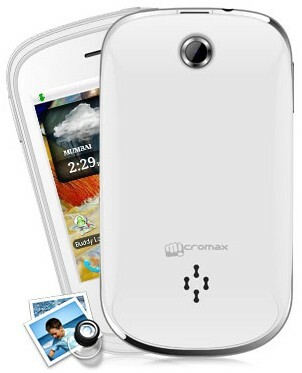 Connectivity options of Micromax A44 Superfone Punk includes Wi-Fi 802.11 b/g/n, Bluetooth v2.1 GPRS, and microUSB v2.0. It comes with a standard 1200 mAh Li-ion battery which delivers up-to 4Hrs of talk time. It has a dimension of 112x62x14.3mm and weighs 120gms. Other features of Micromax A44 Superfone Punk includes unique pebble design, behind-the-neck headphones, HD Surround Sound, multiple video recording formats, motion sensor, FM Radio, AISHA voice based assistant, G-sensor, pre-loaded apps and a mobile tracker. 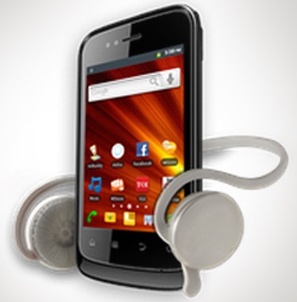 Micromax A44 Superfone Punk comes with a price tag of Rs. 4,500INR. Tags:Micromax A44 Superfone Punk, Micromax A44 Superfone Punk features, Micromax A44 Superfone Punk specifications, Micromax A44 Superfone Punk review, Micromax A44 Superfone Punk details, Micromax A44 Superfone Punk availability, Micromax A44 Superfone Punk specs, Micromax A44 Superfone Punk images, Micromax A44 Superfone Punk pics, Micromax A44 Superfone Punk pictures, Micromax A44 Superfone Punk price.